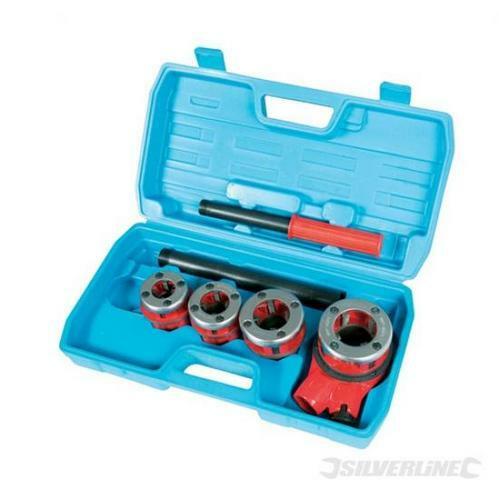 We are engaged in supplying of Ratchet Die Set, which is widely used in various plumbing applications. Specially sourced from the certified and renowned vendors, these products are highly appreciated for high durability, high efficiency and longer life. We offer Impact Sockets, Power Wrenches, Torque Wrenches and Torque Multipliers for Bolting applications. We offer Screw Driver Adapter, Screw Torque Checker, Nut Runner and Bit finder for rapid and precision tightening of screws. For bolt tightening in restricted spaces, we offer a host of solutions - Open Jaw Torque Wrench, Interchangeable Head Torque Wrench, Open Jaw Ratcheting Heads. For Torque Audits or bolt tightening in Research and Defence applications, we offer Digital Torque Wrench with extremely low graduation and high accuracy. That includes Torque wrench for measuring residual Torque of pre-tightened bolts.